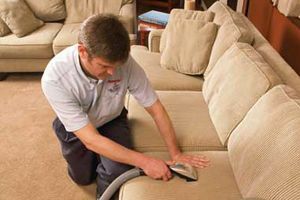 Our company is a leading provider of upholstery cleaning services in Wandsworth SW18, London. Our professional cleaners are here to help you seven days a week. Cleaner Wandsworth is experienced in the treatment of all kinds of fabrics even the most delicate ones. As for our equipment, it is specially designed to carefully clean even between the tiniest crevices and folds. Being water-efficient, it also guarantees that the drying process will be much quicker than it usually takes. Thus, you might be sure that all the dirt will be utterly removed from your furniture and you will be able to use it almost immediately after it has been cleaned. And considering the fact that our solutions are all eco-friendly and chemical-free, your children and pets will be perfectly safe. Do not spend your money in buying unnecessarily expensive furniture, but book our upholstery cleaning service. Our prices are all within reasonable range and the excellent quality of our work is guaranteed. And as previously mentioned, we cover all addresses around London and more particularly in Wandsworth SW18. For your convenience, our technicians will adapt to your schedule and will arrive at your doorstep any day and any time you find fit. If you have decide to take advantage of our service, you only need to call our customer support centre where you will be helped through the quick booking procedure.